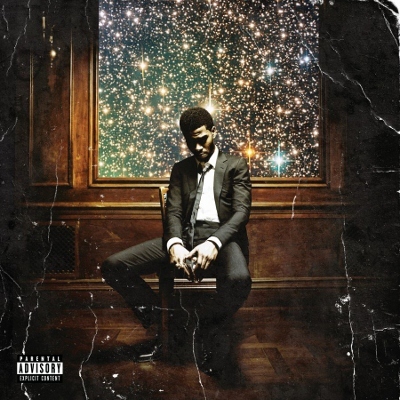 Man on the Moon II: The Legend of Mr. Rager doesn’t have anything as catchy as “Day ‘n’ Nite,” but it consistently hits the sweet spot with tracks like “Scott Mescudi vs. the World” and “Don’t Play This Song.” It’s moodier than Man on the Moon, too. Throughout, he ruminates over loneliness and fame’s toll while fans ask “Can we tag along?/ Can we take the journey?” Kid Cudi clearly has a high opinion of himself (pun intended), but he seems less of an egoist than his mentor Kanye West (who appears on the divisive “Erase Me”). And with his unique hybrid of emo, hip-hop, and contemporary R&B, he truly sounds like no other. This entry was posted in Reviews, Short Cuts and tagged Kid Cudi, Rhapsody, Universal. Bookmark the permalink.